Tomorrow night, the 76ers will host the Miami Heat in their first playoff game in about 2100 days. Yes, that was not a misprint. Its been 6 years since the 76ers have been in the playoffs, last seen losing to the Boston Celtics in the Eastern Conference Semi-Finals. Since then, its been nothing but losing, roster upheaval with two new GM’s and a new Head Coach. One player from that last playoff team, Elton Brand, is now the GM of the Sixers G-League affiliate in Wilmington, Delaware named the 87ers. Sam Hinkie was the GM brought in to get the 76ers back into NBA elite, but not until they spent a few seasons in the NBA’s Pit OF Misery. It was called “The Process”, and its followers still chant “Trust The Process” at 76ers home games. The plan had its detractors, and after seasons resulting in 19 and 18 wins followed with a 1-31 start, the NBA had seen enough. Jerry and Bryan Colangelo were brought in and feeling the squeeze, Sam Hinkie resigned in the middle of what became a 10-72 bottoming out. 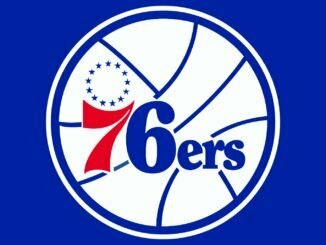 The 76ers, with rookie Joel Embid seeing his first action but without 2017 first round pick Ben Simmons due to injury, the 76ers played like a playoff team during the months of January and February, but after being injured in a nationally televised loss to the Houston Rockets and James Hardin, Embid played sparingly and the once promising playoff hopes were dashed as the 76ers finished 28-54. With Embid and Simmons leading the charge, the 76ers played their way to a 30-25 first half, ending the half with a 16-7 run. They would win as many as 7 in a row before a 109-94 blowout loss in Washington followed by a one point loss the next day in Miami. They would then beat the Cavaliers and King James in Cleveland 108-97, and began another winning streak after losing to Indiana on March 13th. Despite losing Joel Embid for the rest of the regular season in a win against the Knicks, the Sixers would close out the season by winning 16 in a row (8 without their start center), setting an NBA record for most consecutive wins to close out the regular season. In doing so the 76ers overtook the Cavaliers for the 3rd seed in the Eastern Conference Playoffs and look as though they can make a run to the Eastern Conference, or even the NBA Finals this year. 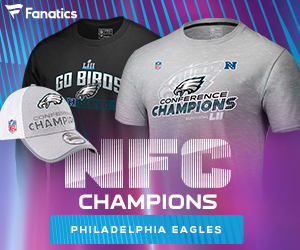 After the Eagles won a Super Bowl with a backup QB fans in Philly are beginning to believe in Santa Claus, the Easter Bunny and the Tooth Fairy. And why not? The 76ers have home court advantage where they were 30-11. They weren’t awful on the road, either, going 22-19. Time will tell, but this team is talented and isn’t going anywhere anytime soon. So if they don’t win it all this year, there really is a next year. And a year after that. After all, did we think two years ago that the 76ers would go from 10 wins to 52? Maybe Santa Claus can answer that one.